Reflections on #CoPro19: Gareth D Morewood highlights key themes and important points to consider in working towards co-production. Prior to our third conference a few weeks ago, I wrote about our journey in developing #CoPro19; a conference about families and professionals working together and finding joint solutions. This initial idea developed and evolved into helping us clarify what co-production should be, whilst also helping us understand what it is not. Our final programme tried to showcase a variety of solution-focused approaches and first-hand experiences, with speakers ranging from SENCOs and EPs, to parents and carers. Thinking about our initial blog and how true co-production requires a relocation of power, we hoped the day would stimulate thoughts and provide opportunities for delegates, speakers and exhibitors to establish positive connections that will improve outcomes for young people and families. This year I am fortunate to be working with Professor Andy McDonnell, developing work on stress, arousal and emotional regulation. Asking Andy to provide the first keynote was therefore an obvious choice, and one that resonated strongly with those who attended. Andy’s keynote largely focused on stress and the Low Arousal Approach; if we don't understand our own stress, we limit our abilities in co-producing outcomes for others. An important message was that a number of autistic people presenting challenging behaviour often have trouble regulating affect. As it is difficult to differentiate between an affect they feel and someone else's, it can often result in a reaction to other people by mirroring the same affect. In short, we need to manage our own stress to prevent this from affecting those who are unable to differentiate. Essentially, this is about cortisol management: you can support the control of cortisol levels with appropriate stress management techniques. Indeed, these help all of us, a reminder that good strategies for SEND are good strategies for all! To support ourselves and our stress we need to focus on gaining time for relaxation, being mindful, developing appropriate support systems and understanding appropriate coping styles. Important elements of these approaches often have a strong focus on exercise and nutrition. Stress alone is not the main variable but our ability to have control over our daily lives. changing our behaviour rather than that of the person. I have always strived to try and be solution-focused and positive in my outlook, not only in the SENCO role but also life itself. This was highlighted from a parental perspective by Debby Elly and Tori Houghton in their workshop 'Positive Parent, Positive Professional'. As Debby is a parent with whom I work closely, I knew this session would resonate with our theme. Debby and I have co-produced many positive solutions and strategies for her son Bobby over the last 5 years or so, and this session shared some of the key experiences and outcomes. Too often meetings take place where little is agreed or finalised as part of a realistic plan. The key message I took from this session was to ensure a set of non-negotiable elements. Agree at the start what the meeting will achieve. At the end of the meeting, check that everyone knows what’s happening next and who is doing what. Throughout the meeting, be mindful that a plan is what you’re generating, together! It sounds simple doesn’t it? And one might argue it should be too; sometimes the simple ideas can prove to be the most effective. This event was quite unique; jointly produced by Priestnall School in partnership with PIPS, supported by Elly Chapple. True co-production may still be a utopian vision for many of us, and I include myself in that, but that doesn't stop us continuing to try. So much more is to come from a single day that I almost didn’t know where to start, so this is it, our starting point. If you attended the event and want to share your thoughts please get in touch, as we want to get as many different perspectives as we can. For one thing I am now even more certain about; partnerships really are key. Here's a sneak peak if you were unable to attend the event! With so much material and so many powerful discussions, it is impossible to do this event justice in just one post. So watch out for more to come from #CoPro19 in the months ahead; even if you were unable to attend we hope that you can still benefit from what was a powerful and high-impact day of exploring the possible. Something that many would say is much needed during the current climate! Why is co-production so powerful? 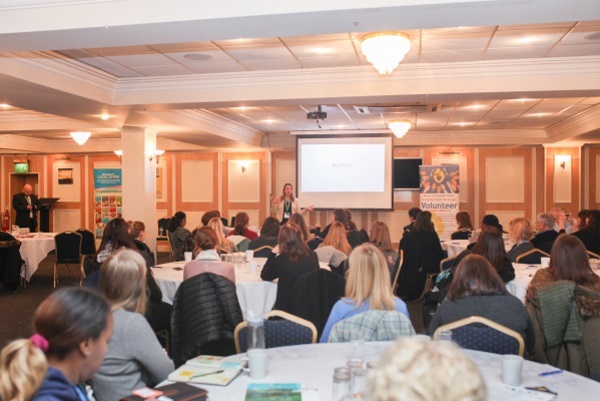 Our 17th Annual SEND Update Conference takes place on Thursday 23 May 2019. The event will give you the chance to take away practical strategies to help manage the increasing pressure on SEN departments, giving staff confidence in effective teaching to SEND pupils.